This custom built herringbone floor, featured in a upscale southern Missouri home, is constructed of 5″ x 35″ Select & Better Rift and Quartered White Oak. It was framed with a 6″ Millrun Walnut frame around the perimeter of the room of the ground level of the home. This engineered floor was installed unfinished in a glue-down application direct to the basement slab of the home and site finished. 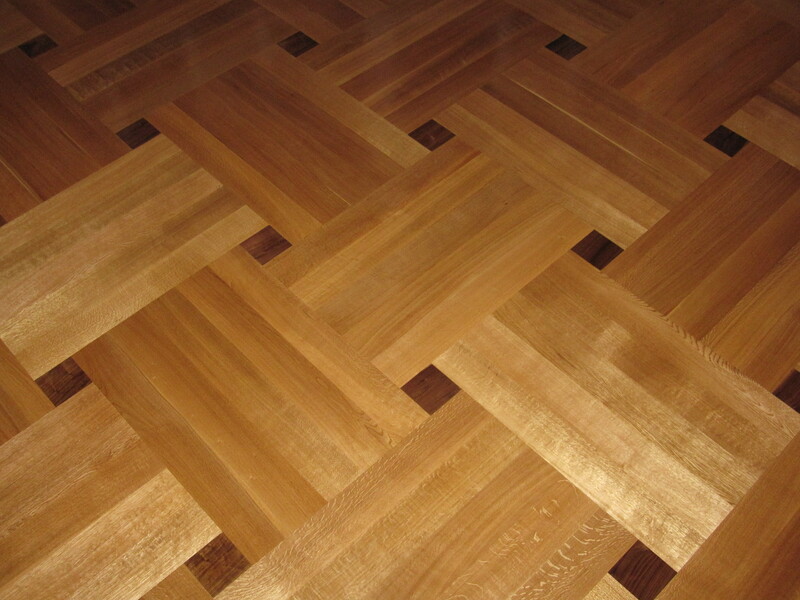 The main level of the home utilized the same herringbone pieces of white oak but were incorporated into a basketweave parquet pattern with 5″ x 5″ Select & Better Walnut pixels. This main level utilized the same engineered unfinished flooring but was installed utilizing the nail down method and was then finished on site with oil-based polyurethane. 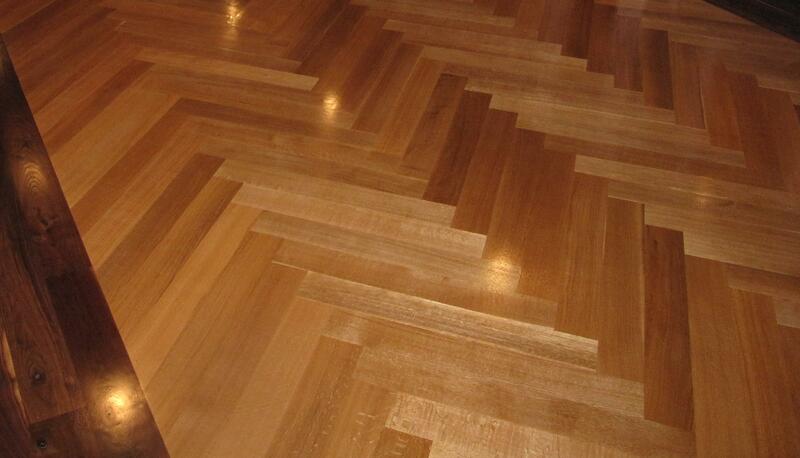 This entry was posted in engineered wood floor, finish, millrun, parquet floors, wide plank. Bookmark the permalink. This floor was milled and graded very well. Real Wood Floors’ precision and dedication to quality is apparent when you are installing or sanding one of their floors. The durable construction, the beauty of the material, the dimensions of the flooring pattern and stability of this product made it the perfect choice for this installation throughout the home, both on and below grade. Thanks Real Wood Floors for an amazing product that couples design beauty with durability, stability, value and quality.